Good news, San Franciscans of northern and eastern extraction! Minor League hockey is returning to our fair city! (Well, technically Daly City — the Cow Palace actually touches the SF city line.) They’ll be playing in the ECHL, an mid-level league with ties to the NHL. While I am excited to watch hockey, even in a 1940s era arena, there are a few marketing issues to discuss. First is the name of the team. Minor league teams often have strange or uninspiring names. Consider our neighboring ECHL teams– the Las Vegas Wranglers, the Ontario Reign, the Stockton Thunder, the Bakersfield Condors. Meh. While the logo itself is not bad, it’s not exactly screaming San Francisco. Something a little more local would be nice. Consider a former ECHL team, the Victoria Salmon Kings. Lots of salmon around Victoria! And I like salmon! Anyway, I have decided to lead an effort to rename the Bulls to something more appropriate to San Francisco. Those with long memories will remember the California Golden Seals who played in Oakland from 1967-1976 (then becoming the Cleveland Barons, which merged with the Minnesota North Stars, that moved to Dallas. However, the former owner of the Seals sold his shares in the Stars and helped found the Sharks). 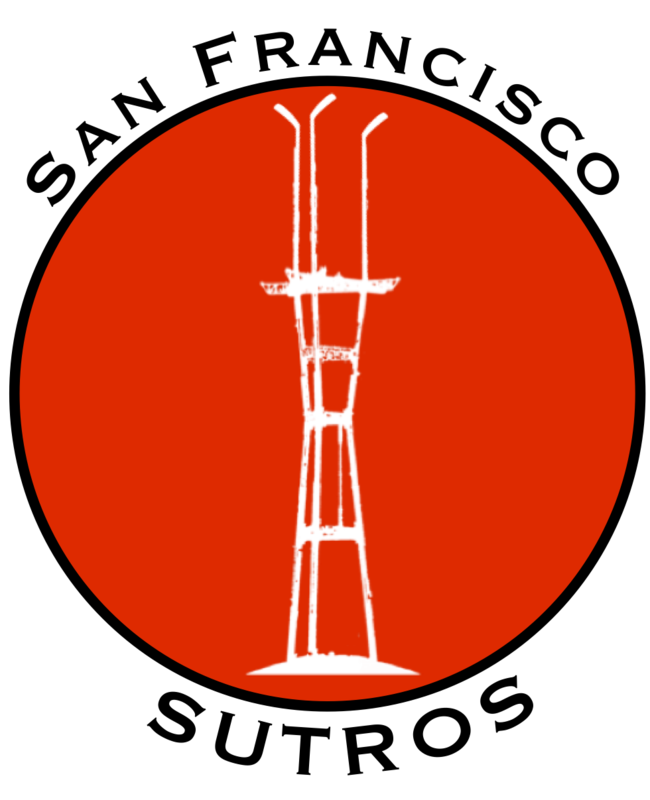 Please welcome the San Francisco Sutros to the Cow Palace in 2012-2013! 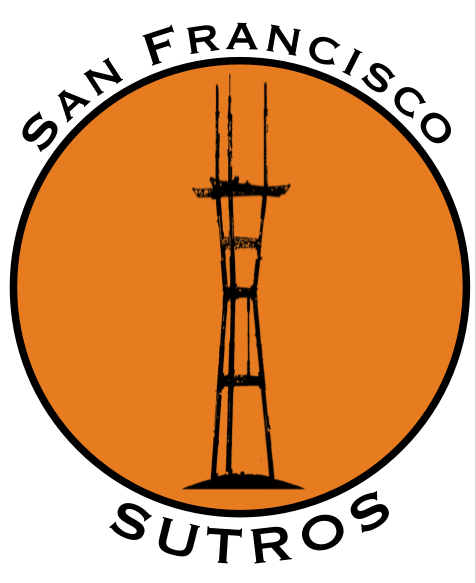 The hockey-stick Sutro is the best thing ever. Ha! When I was a kid, “San Francisco Fog” was always the name of the teams I’d make up. The SF Fog is a rugby team, I hear! Great post. I admire your devotion to Sutro Tower. 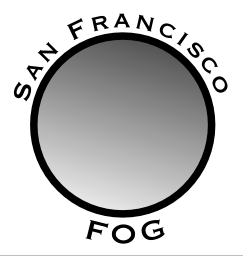 The fog logo was pretty good too. I’m convinced! You ARE serious about hockey!… Go Sutros! Terrible name and logo. Such a shame. It must be due to the shortage of creative talent in the area. The coach, Pat Curcio, had 10 years in the minors, 5 years coaching. Mainly an assistant coach but teams mainly had decent records. He played in Germany his last few seasons, including two years in Hannover. I actually saw a Hannover Scorpions (yes, named for the band) game a few years ago. My friend and I were in town for the CeBIT trade show and we were both wearing suits so I think everyone thought we were NHL scouts. But the fans had those inflatable sticks, along with annoying eurocheers. Pat, please don’t encourage that (oh, and rename the team, kthxbai). I’m curious who his backers are. 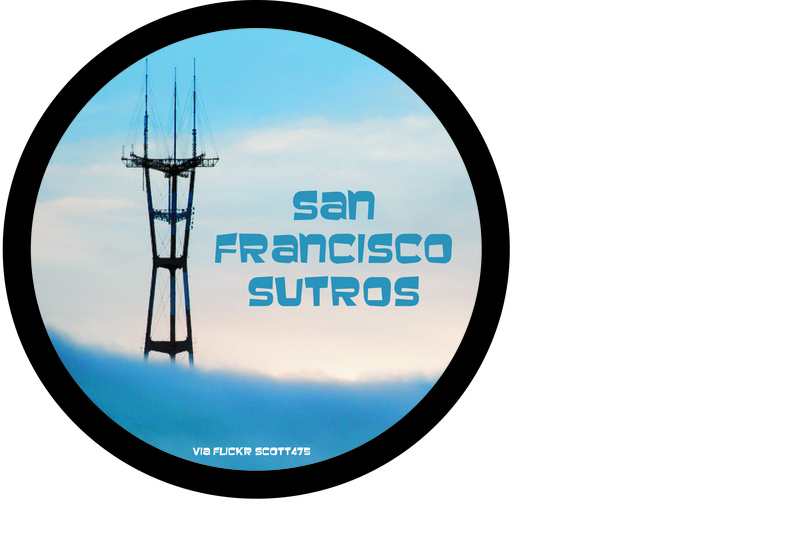 i am really, really into the sutros logo. kudos! I remember the SF Spiders at the Cow Palace mid-nineties, IHL. Sutro is cooler. Uh oh, an update. This is the t-shirt they are giving away with a season ticket purchase. Let’s justt can be easily and unfortunately misinterpreted. @sfhockeydude has some excellent color commentary. What’s funny is that if you look at the seating chart that is a part of the season ticket form it says “Sharks shoot on this goal twice”. Looks like they just stole the seating chart from when the Sharks played at the Cow Palace. I noticed that too! I’m guessing it’s been photocopied about 12 times. 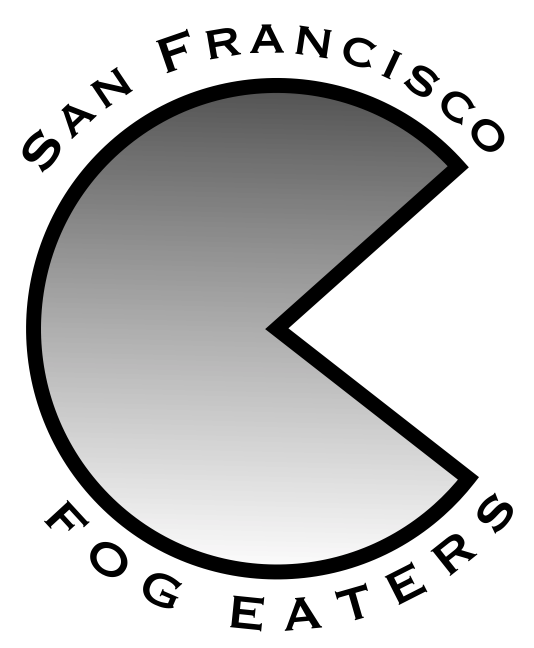 I like “Fogheads” better than “The Fog” or “Fog Eaters”, but I suppose KFOG probably owns that one. SAN FRANCISCO BULLS sounds way more better…. looks way more CLEAN and the name sounds just right for it’s COW PALACE HOME.